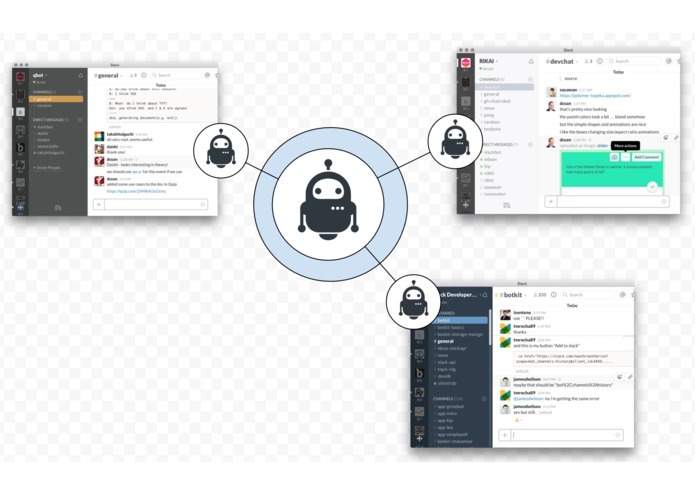 http://Collab.Club <- add this bot to your Slack team now! 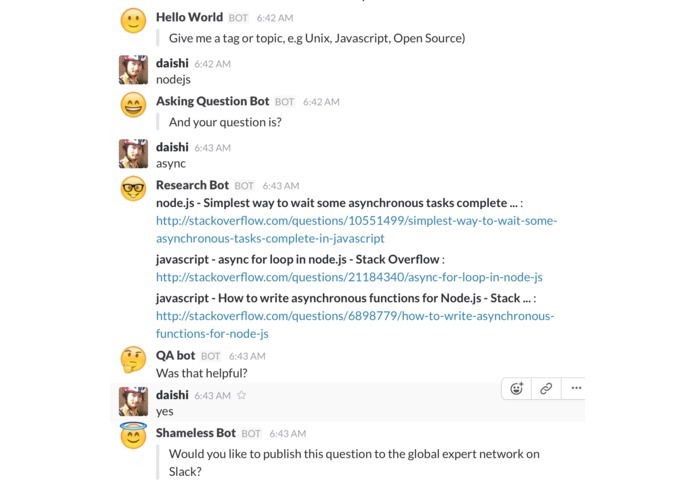 A realtime Stack overflow, available in Slack. Slack has lots of different teams, and knowledge is dispersed. This bot allows you to have an expert from a different Slack team jump in for temporary consulting. Questions are added to the database and next time a similar question comes up the bot will suggest answers. Coordinating all the different features and development environments - noone on the team had met each other before this hackathon. Taking it live, hopefully users will contribute lots more cheat sheet documentation Supporting more external APIs to query so the bot can suggest answers without even bugging people Selling some job ads Waiting for Slack Coin$ so we can pay the experts in more than karma!! Created client/expert matching algorithm. Worked on NLP and DB interface. to listen to launch related chatter!